A flat file is a system of shallow drawers designed to store artwork. In recent years, flat file has also come to mean a collection of unframed works on paper which are available for viewing by collectors, scholars, curators, or others who might be interested. For a couple of years I've had work housed in the Zea Mays Printmaking flat file in Florence, Massachusetts, where curators recently visited to make selections for a new exhibition in Portland, Maine. I'm happy to say that my woodblock print Borders #3: Israel/Palestine was selected. The exhibition, called Print/Counter-Print, promises to be a printmaking extravaganza. 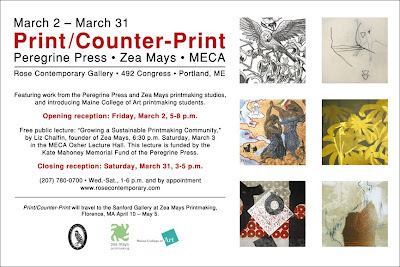 In addition to work from the Zea Mays flat file, Rose Contemporary gallery in Portland will also be showing works selected from the flat files of the Peregrine Press and the new Maine College of Art Flat File Project featuring work by printmaking students. You can see an online preview of the 60 or so works that were selected to be displayed at this link. In addition to the displayed works, Rose Contemporary will have more work by each of the participating artists available for sale and public viewing in a special flat file at the gallery for the duration of the exhibit, so don't forget to ask to see more. A few days ago I wrote about the new MI-LAB Mokuhanga Residency Program at Lake Kawaguchi in the foothills of Mount Fuji in Japan. The program launched the first Residency for Mid-Career Artists last week, when four invited artists arrived for a 45-day stay. The artists at this inaugural event are, from the left, Keiko Hara (Japan/USA), Jacqueline Gribbin (Australia), Ralph Kiggell (UK/Thailand), and Hiroki Morinoue (USA). I just discovered that MI-LAB is posting photos of the residency every day or two, so I wanted to let you know that you can go to the site and see what the artists are doing. To see the photos, go to the home page and in the column on the left, click on the green words that say "photo gallery." It's the next best thing to being there! As I mentioned in a recent previous post, I've been happy with the Shikoku White paper I've been using for the Loaded series except for the fact that it's had a tendency to wrinkle and/or become wavy as I work with it. Check out that previous post for some excellent advice from people in the comments section. There are four different prints here, each in an edition of 7 or 8, and you can see that each print seems to have a characteristic wave or curl through the edition. I tried to flatten the prints here in my studio, placing them between boards with weight on top, I got enhanced rippling plus some puckering. (A commenter to the previous post tells me that this is called "cockling" in Britain.) I felt really frustrated, so I decided to seek professional help -- I called Liz Chalfin, owner/director of Zea Mays Printmaking Studio where I teach. Liz recommended that I try their forced-air print dryer. A forced-air print dryer, first developed at Crown Point Press, uses corrugated cardboard stacked alternately with dense smooth cardboard (Upson Board) that can be interleaved with damp prints. The whole stack is then put under pressure and air is forced through the corrugations to dry the prints. I neglected to take a photo of the Zea Mays dryer, but it looks a lot like this photo of the forced air dryer setup at Crown Point. The dryer at Zea Mays can hold 15 prints at a time. Frankly, I was skeptical, but after running a test with a few prints that didn't make it into an edition I was sold. The group of prints on the right are the prints that were flattened in the forced-air dryer. An added surprise was how the flattening of the paper enhanced the details of the printing, too. I'm a convert to the forced-air print dryer. Thanks Zea Mays! Ms. Keiko Kadota, the founder of the successful Nagasawa Art Park residency program in Awaji, Japan, has just announced a new and expanded program that offers artists at any level of experience an opportunity to come to Japan to study woodblock printmaking. Called the Mokuhanga Innovation Laboratory (MI-LAB), the program "is designed for international artists, print teachers and printmakers who wish to learn Japanese mokuhanga printmaking techniques under Japanese teachers." 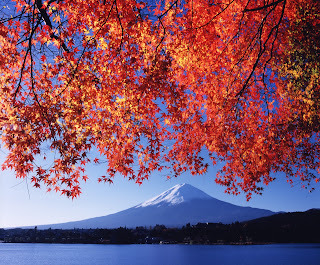 The facility is located in Fuji-Kawaguchiko-cho, a lakeside town at the base of Mt. 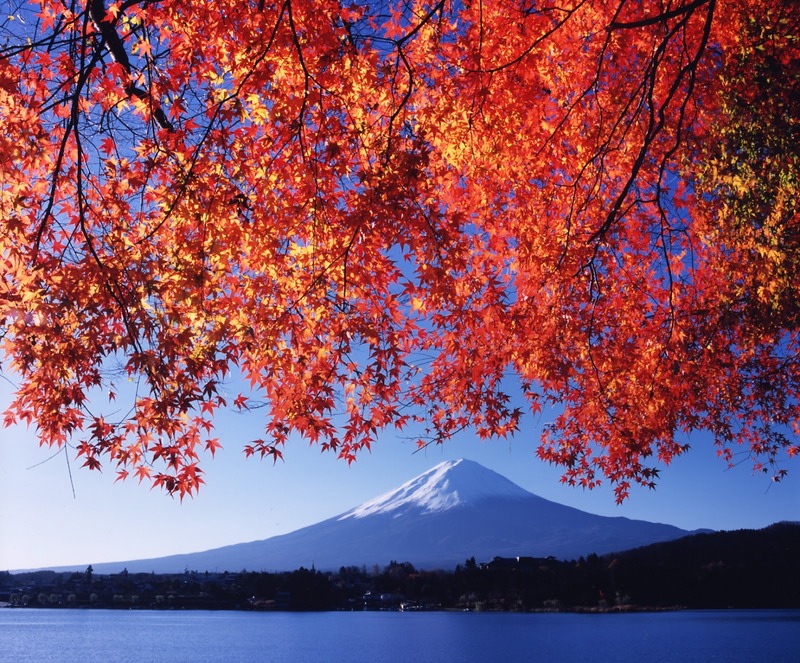 Fuji about a three-hour train ride from Tokyo. There are three basic programs being offered. You can read the descriptions at this link. Applications are now being taken for a 30-day residency this summer, June 20 - July 20, 2012. You can find application forms, guidelines and more information on the MI-LAB News page. Much can be said about George Washington, the "Father of Our Country," but what I want to say is that he was the most trusted man among all the so-called Founding Fathers. He was not the best educated of the founders, as he had only a grade school education. He was not as eloquent as Jefferson, not as politically savvy as Madison, not as intelligent as Hamilton. And yet he was chosen again and again by his peers to lead, first as commander of the Revolutionary army, then at the Constitutional Convention, and finally as the first President of the United States. His contemporaries knew him to be a man of great moral character and they trusted him completely. It's no accident that Washington is pictured on the dollar bill. Trust is a quality that is essential to our economic system. In economics, trust is seen as a kind of social lubricant that encourages various forms of cooperation and spurs economic growth. If I buy a new car, I trust that it will function safely and reliably. When I purchase shares in a retirement fund, I trust that the managers will do all they can to help my money grow over time. If I buy a health insurance policy, I trust that my illnesses will be covered. And if someone defrauds me, I trust that the laws of the land will punish the perpetrators. Which is why the transgressions of Wall Street in the past decade have angered so many of us. Wall Street crashed the economy by nurturing our trust and then betraying that trust. They made bad loans, chopped them up and re-branded them as investments, got them rated AAA, and made huge profits up front while leaving the inevitable disaster in the hands of the rest of us. And even now, no Wall Street firms or corporate mega-banks are suffering any real consequences. The government bailed them out, no questions asked. Regulators, politicians and bankers have all colluded and, fearing that if they tell us the truth the economy will crash even further, have lied to us about what really happened. Ironically, they are lying to us in order to secure our confidence and our trust. I'm afraid it's going to take a long time before we trust again. This print will have a lot fewer color applications than most of the prints I make. It looks like there will be just five layers. The first three were background layers -- a yellow and then a couple of layers of brown along the edges, making a kind of circular bokashi (fade). Onto this base I then printed the fourth layer, the George Washington block. I wanted the darker corners of the background to push his facial features forward a little. One more layer to go. Technically, this has been a hard piece to print. All of the money prints have been hard to print, actually, just because they're so large. Registration is difficult at this size and there's a lot of paper expansion as moisture gets added with successive overprintings. There have been some issues with the paper I chose as well. My favorite paper for moku hanga has been Echizen Kozo from McClain's, but it costs between $27-$30 per sheet. I've used 50 sheets for these 5 prints, which would have cost me between $1350 and $1500 if I had used the Echizen Kozo. I couldn't afford it! Plus, McClain's has been out of stock on the Echizen Kozo for several months. You can see that the prints wrinkled quite a bit when sandwiched between foam core and plexiglass. I probably should have framed and matted them, but live and learn. Anyway, I tried an experiment for this print. 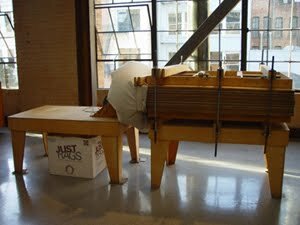 I brought the 10 sheets I had selected for the George Washington print to Zea Mays studio and ran them through the press there to pre-stretch the paper (this is called calendering the paper). I wanted to see if the paper would behave any differently if it was pre-stretched. It did not behave any differently. It has a gentle wave in it, just as it has for the past four prints. For this next print, I'm focusing on the front of the dollar bill rather than the back and doing an enlargement of the most recognizable portion of the bill: the portrait of George Washington. George Washington has been mythologized through the centuries, and in fact was the stuff of legends even during his lifetime. That story about George admitting to chopping down his father's cherry tree, saying "I cannot tell a lie, I did it with my little hatchet"? It's fiction, promulgated in a book by Parson Weems called The Life of Washington that was published just one year after Washington's death. In the same book Weems also invented a story about an eyewitness who discovered Washington deep in prayer in a bower at Valley Forge. Although Christians today like to hold Washington up as a devout and fervent evangelical, using his Christianity to support the idea that America is a "Christian nation," the truth is a bit more complicated. In the book Founding Faith, author Steven Waldman's research on the religious habits of Washington tells us that Washington was a practicing Anglican who, according to his diaries, attended church an average of once a month. He never knelt and he rarely if ever took communion, instead leaving the service before the sacrament began and later avoiding services altogether on communion Sundays. In his writings Washington rarely referred to Jesus Christ or Christianity, although he did write of God or Providence or "the Great Architect" and he spoke of God's protection for the new nation of the United States of America. During his lifetime he was pressured by various clergy to set an example by speaking up for the Christian faith, but in fact he was more apt to praise toleration and spiritual pluralism. George Washington was also a Mason. Although Freemasonry was not a religion per se, it was based on the principle that men should worship according to their own conscience and welcomed anyone from any religion as long as they believed in a Supreme Being. When the cornerstone was laid for the US capitol Washington performed a ceremony that included Masonic rituals, he was sworn in as president on a Bible borrowed from a NY Masonic temple, and he was buried with full Masonic rites. Washington was not an atheist or even a deist, but he was certainly not an evangelical Christian of the kind we know in 21st century America. This week I'll be printing the carved block shown above. Check out this post from "Letters of Note" showing a rejection letter poet Gertrude Stein received in 1912 from a publisher. I would have saved this one for sure.